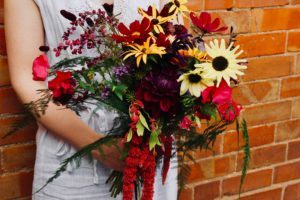 In this weeks post I will share with you 10 little gems to help you breeze your way through organising your wedding flowers. 1. Budget! Let your florist know how much you can spend at your initial consultation and let them make suggestions that are within your range. It’s always best to have a rough figure in mind- you don’t want to fall in love with lots of ideas that you can’t afford! 2. Consider choosing seasonal flowers. If you are a bride who doesn’t have their heart set on a particular flower this is a great budget friendly option. Just tell your florist your colour scheme and they will fill your venue with an abundance of flowers for less than you might think. Imagine a pretty barn reception in April filled with little jars of seasonal blooms like ranunculus, anemone and tulips. Or a bridal bouquet at a late Summer festival wedding made with sunflowers, dahlias and cosmos. 3. Take Pinterest and wedding blogs with a pinch of salt. They are fab for a bit of inspiration and a great way to illustrate to your florist the kind of style you want, but don’t get carried away! A lot of the images on Pinterest are meant to be aspirational. Often the images are from staged photoshoots not real weddings so the cost of recreating them would just be too high unless you have a mammoth budget. 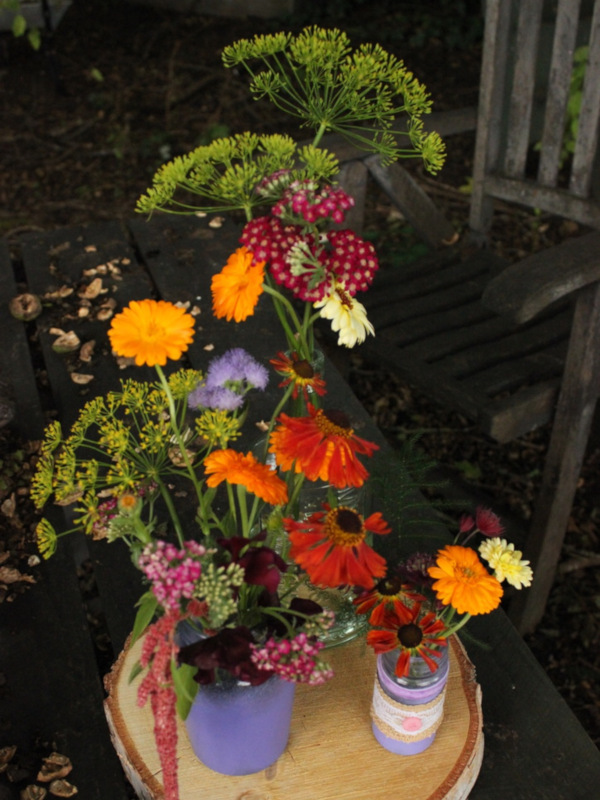 Also sometimes the flowers featured aren’t suitable for button holes and bouquets as they don’t fair well out of water for more than a few hours. 4. Buy your dress before you choose your flowers. The shape and style of your dress will have a massive impact on the type of flowers and size of bouquet you choose. For example a romantic ball gown dress would be complimented by a large round bouquet of blousy roses. Or a wild, trailing hand-tied bouquet would match perfectly with a floaty bohemian gown. 5. Consider the theme of your wedding venue. Obviously there will be times when a contrast will work wonderfully but more often then not picking flowers that compliment your venue will work best. Or at least it’s a good place to start! 6. Shop around. When I was planning my wedding I contacted and met with several florists before booking someone. It’s a great idea to get a good idea of prices but I also think it’s really important to choose a supplier who is enthusiastic about your ideas and someone you can build a positive relationship with. 7. Looking for something unique? 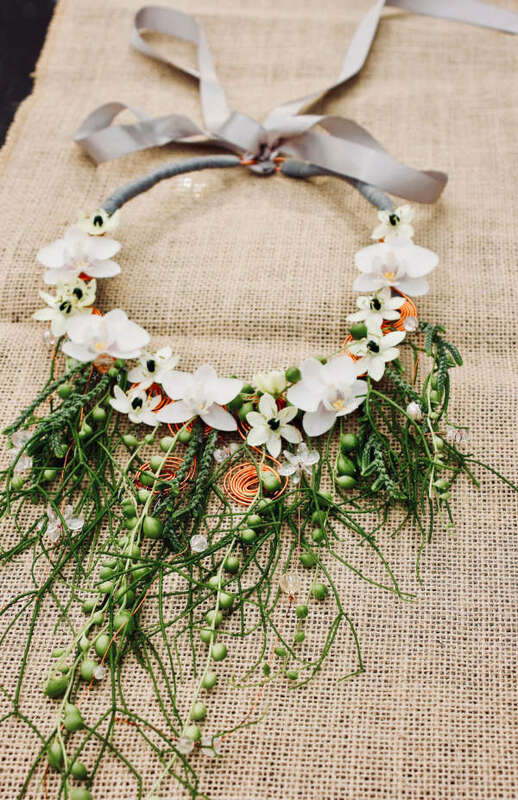 Why not go for a piece of fresh flower jewellery instead of a traditional bouquet for a more contemporary look. Or maybe a bouquet for you and pretty wrist corsages for your maids? There are also other options besides a hand tied. Draw inspiration from contemporary European floral design pioneered by Gregor Lersch. 8. Collect your own containers. 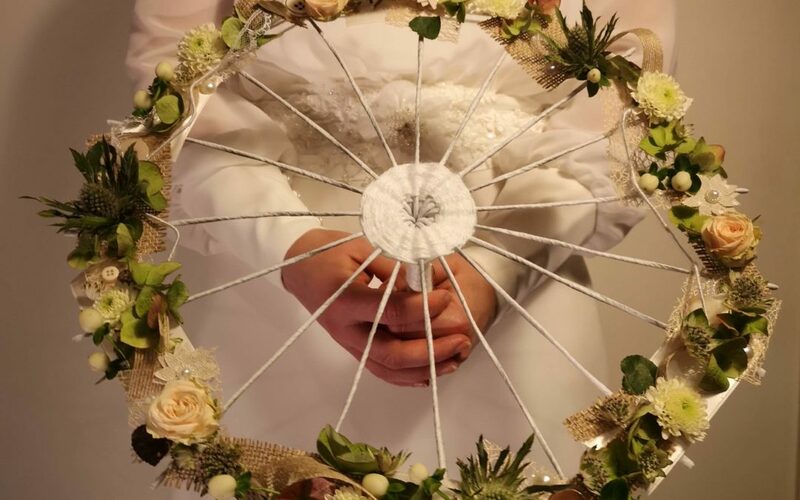 This is another budget friendly option and also perfect for the crafty bride. 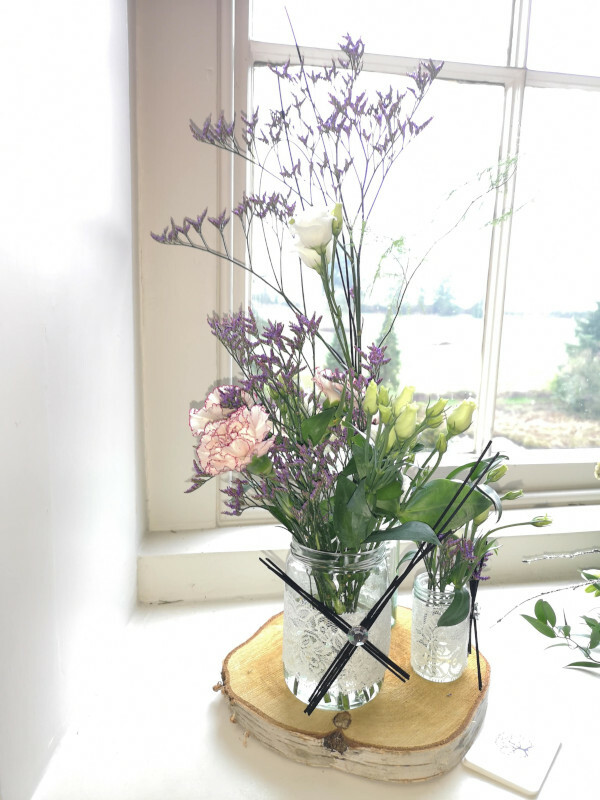 Your florist will probably have vases and jars available to hire but to keep costs down and personalise your big day you could collect and decorate your own. 9. Make your arrangements work harder. If you are having ceremony flowers see if you can have them moved to the reception afterwards. I had a vintage suitcase filled with Spring flowers for the ceremony, which I had moved into the bar area for the reception. Two looks for the price of one! I also asked the venue to provide vases on the cake table to display our bouquets in. Extra decoration and somewhere safe to pop my bouquet in between photographs! 10. Finally make sure you get everything in writing. 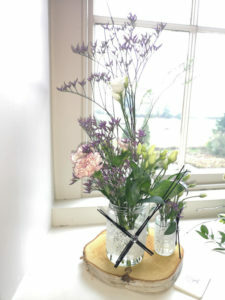 A list of flowers and designs your florist is making for you, set up costs, delivery charges, props hire etc. It’s important to have some kind of contract in place with all of your wedding suppliers for clarity and peace of mind.